Amid hardware developments like Apple TV and news that pay-TV subscriber numbers are down, two areas of the connected consumer industry had especially significant developments in the third quarter: e-books and TV-band white spaces. As we discuss in a new report at GigaOM Pro, developments in these areas could have tremendous effect on the industry. 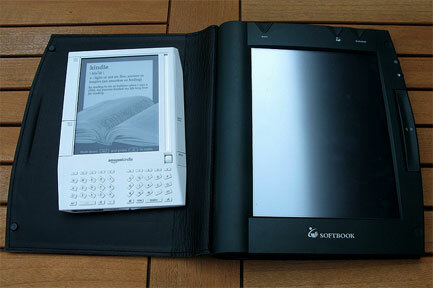 Amazon, with its $139 Kindle, has essentially made the e-book a mass-market device. The company, of course, has already become the dominant platform for self-publishing, which allows unpublished and mid-list authors to increase their income and audience. Since Amazon already uses behavioral targeting to provide merchandise suggestions — including book titles — to each customer, the company could promote e-book authors in ways that will prove difficult for traditional publishers to match. This could have effects beyond the Kindle. Others are introducing lower-priced devices and we believe it likely that a major player will be in the market with a $99 reader by Christmas or soon thereafter. Troubles at the most iconic name in terrestrial book retailing culminated in yet another milestone signifying the pending triumph of e-books. In August, Barnes & Noble announced it was evaluating strategic business alternatives, including a potential sale of the company. Indeed, we expect that most of the remaining brick-and-mortar bookstores will follow the same path. Print books will never go away, but the industry will follow the trends of the music and film industries, which were reshaped by digital distribution. Traditional retailers and publishers weighed down with legacy cost structures that cannot be rapidly adapted will ultimately sink. The FCC, meanwhile, made a unanimous vote during the third quarter to approve 20 MHz of TV-band white spaces for unlicensed use. This is the largest block of spectrum released for open access in 25 years and promises an alternate route for consumers who wish to bypass metered rates on wireless Internet access as more and more connected devices come to market. The unanimous approval by all five FCC commissioners is significant. It signals that the Commission could be entering a new era characterized by more competition and open access to provide for innovative services. FCC chairman Julius Genachowski quoted one analyst who concluded that TV white space use could generate $7 billion annually in new equipment sales and services. Despite a number of challenges faced with building out this unused spectrum — including the challenge of ensuring noninterference between unlicensed devices — the ruling would encourage entrepreneurs and innovators to develop new technologies that can be exported around the world. Amazon the New Self-Publish Kingpin? Some clear study and stats might help marketers and researchers like me.